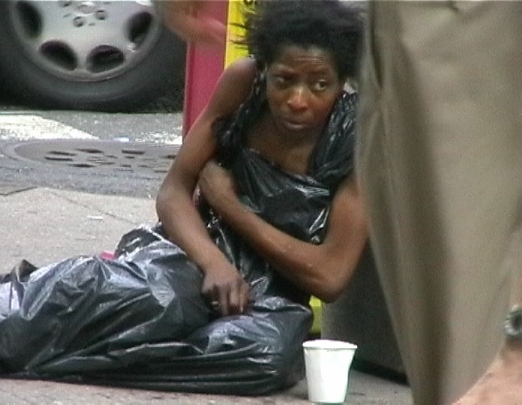 A beggar dressed in a garbage bag in Fifth Avenue New York in June 2000.
the most expensive street in the world. This stupor women, dressed in just a garbage bag obviously wasn’t aware. I guess it was also the stereotypical image of homeless in america, that’s why she caught my attention.